Junior midfielder Saadiq Mohammed chases down the ball earlier this season against Loyola. Photo by Justin Limoges. The Bradley soccer team (5-3-3, 0-3 in MVC) had a rough week on the road and were unable to score in their two games. 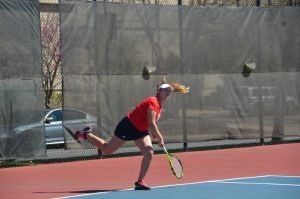 The Braves fought to a draw in a non-conference game against the University of Cincinnati and lost 1-0 against Missouri State University due to an own goal. While the contest against Cincinnati ended scoreless, the Bearcats had a 20-6 shot advantage. Bradley redshirt junior goalkeeper Albert Reinwart made the only save of the night for both sides after stopping an 89th-minute attempt from Bearcats midfielder Marcello Jones. Reinwart said that he was happy with the team’s defensive efforts and obtaining a clean sheet. The Braves had a chance of their own to seal the game just minutes earlier in the 87th. Sophomore forward Gerit Wintermeyer serviced redshirt senior forward Richard Olson from six yards out of the net, but a Cincinnati defender deflected Olson’s effort over the crossbar. Bradley head coach Jim DeRose said the Braves had their chances to seal the game in both halves, even though they’ve been shorthanded. 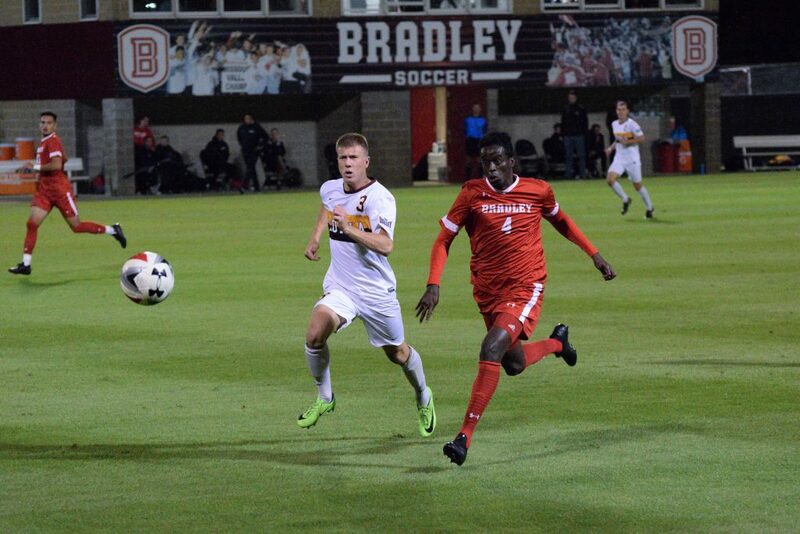 On Saturday night, Missouri State (7-0-4, 2-0-1 in MVC), the Missouri Valley Conference leader, hosted the Braves at Allison South Stadium. The first half was evenly fought, with the Bears having a slight advantage in shots, 6-5, but it only took almost three minutes into the second half for Missouri State to go up 1-0. After a Bears’ corner, Wintermeyer attempted to clear the incoming ball with a header, but found the back of Bradley’s net in the 48th minute. This would end the excitement for the remainder of the game, as Bears goalkeeper Michael Creek stopped the Braves’ five shots. 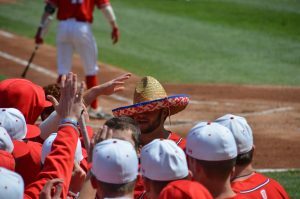 DeRose believed that it was a big task for newer players to go up against Missouri State. Nevertheless, he noted that the team still needs to get into scoring form. Reinwart added that the team is working on its defensive abilities and staying positive. 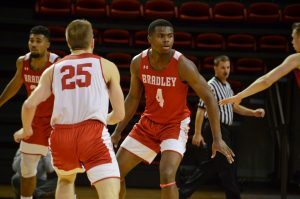 With the Braves winless in their last four games (0-3-1), they’ll be trying to obtain conference points against rival Valparaiso University (2-7-2, 0-1-1 in MVC) at 7 p.m. on Saturday. According to DeRose, the team has prepared heavily for this MVC matchup.